We have very sad news to report from The New York Times: Leonard Nimoy, Star Trek’s Mr. Spock for almost 50 years, has died. Nimoy’s wife, Susan Bay Nimoy, told the Times the cause of death was “end-stage chronic obstructive pulmonary disease.” The beloved actor and director was 83 years old. Though he sometimes fought against his Spock image (famously penning a book called I Am Not Spock) he eventually embraced it (famously penning a second book called, hilariously, I Am Spock). When J.J. Abrams rebooted the Trek concept with new actors, Nimoy was the only member of the original cast to return for the new version. His symbolic passing of the torch (and, by extension, his endorsement) gave this new generation of Star Trek an enormous amount of credibility. Nimoy was born in Boston in 1931 and began acting when he was only 8 years old. He headed out to Hollywood to pursue a career in the entertainment business in 1949, but his career didn’t begin to take off until a string of guest appearances on television shows like Wagon Train and Perry Mason in the late 1950s. In 1966, the debut of Star Trek on NBC changed his life forever. 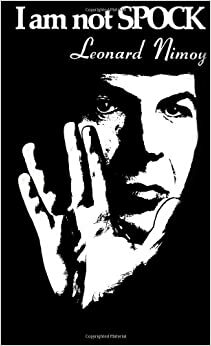 Nimoy directed Star Trek III and IV, and even the film portion of the old Disney World attraction Body Wars, and in between acting and directing gigs, he also became an author, a poet, and even a musician. I’m sure I speak for a lot of nerds out there when I say that Nimoy was a personal hero of mine as a child. At a time before geeks took over the mainstream, he made nerdiness seem cool. Mr. Spock couldn’t out-fight a lizard monster, and he didn’t score with a lot of alien women like Captain Kirk. Like a lot of teenage dorks who watched Star Trek (myself included), he had a bad haircut and his ears stuck out. But Spock was unflappable in the face of danger, and wielded his intellect as a weapon far more powerful than any phaser. No wonder he resonated with fans. He was the man we hoped we’d someday become. Star Trek II takes on a sad new resonance. Leonard Nimoy is gone. But he left behind a beautiful legacy, and he touched and inspired millions of people. He will be sorely missed.